Tiffany Summerlin, RDH began working at MCHD Dentistry as the Monongalia County Oral Health Educator in 2012. 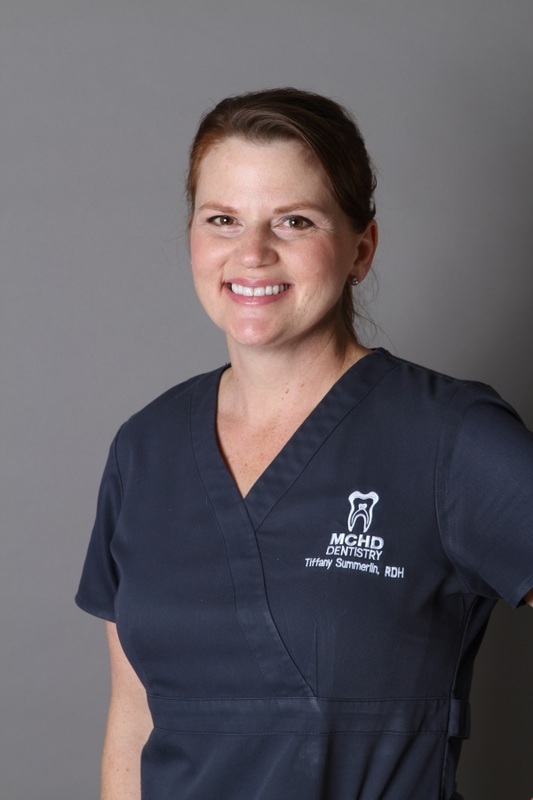 In 2014, she joined us as a full time dental hygienist. She grew up on the southern Oregon coast and made her way to West Virginia after meeting her WV native husband, Jamie. They met while stationed together in Japan during a tour of duty with the United States Marine Corps. Tiffany is a 2008 graduate of West Virginia University with a Bachelor of Science Degree in Dental Hygiene. Photographing the beautiful Appalachian surroundings is what she loves to do when she isn't enjoying time with her husband and two children, Nick and Shayna.